Crazy paving is a popular technique used in many driveways and paths throughout the UK. It involves the use of irregular shaped bricks, delicately positioned together to make a unique surface. It requires a great level of skill to lay the pavers in a manner that will ensure the surface is suitable for heavy loads, such as a vehicle. Crazy paving can be a great DIY project, but to ensure the longevity of your driveway or path, we recommend using a professional. Our installers are experienced, and will ensure that your drive remains in perfect condition for many years to come. This paving technique requires a high level of skill to position the pavers in a manner that will reduce possible movement and decay of your driveway. The mortar in between the pavers is the weakest part of your surface, so these areas should be minimised to provide your driveway with the strength it needs to support a vehicle. Our professional installers will ensure that your pavers are correctly placed, and you will be left with a great looking, and truly unique drive or path. To hire one of our crazy paver installers, request an obligation free quote today! Many people believe that crazy paving is one of the cheapest driveway options available, as the pavers are relatively cheap to buy. However, the crazy paving slabs require more time and skill during laying, which can increase labour costs. The size area that you need paved will reflect the price you will pay. Larger areas require more materials, and more labour time, and as a result the cost will be higher. Below is a price guide for installing crazy pavers. For accurate pricing, based on your specific requirements, please request a quote. 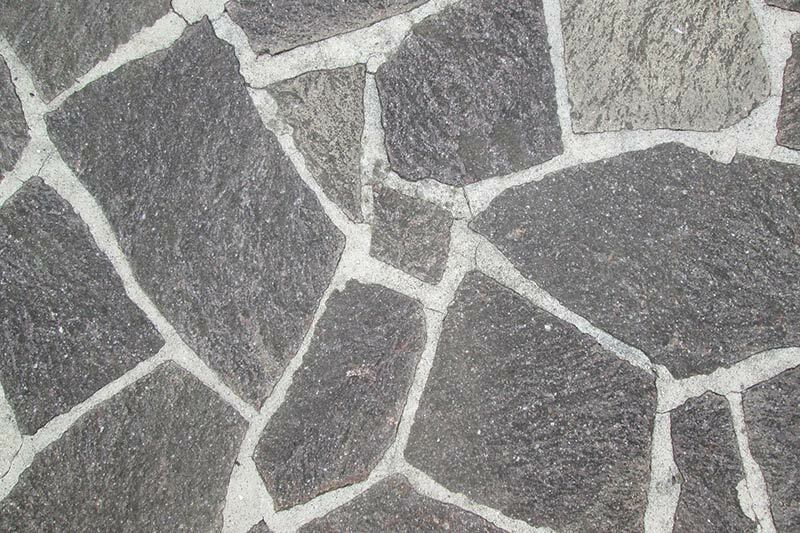 Most pavers used in this type of paving are broken paving slabs or bricks, that were either factory rejects, broken in transit or reclaimed pavers from gardens. They are sold at a reduced price, and do not come in any regular sizes or shapes. We provide paving and driveway installation throughout all of the UK, with affordable prices and expert contractors. We can cater to all requests, sizes and styles, so for a great deal on your paving, simply fill in the request a quote form. No crazy paving is the same, which makes it a unique form of surfacing. To ensure that your drive and paths are correctly looked after, we recommend using a professional driveway cleaning service. We provide professional cleaning of drives, paths, patios and other hard surfaces. Our affordable crazy paving cleaning rates are available throughout the UK, with our nationwide service. We use specialist equipment to ensure a high quality finish, removing any dirt and grime, without damaging the surface of your drive. To find out more about our cleaning services, get in touch or request a quote.